In a world of social media and smartphones, true solitude has become increasingly hard to find. 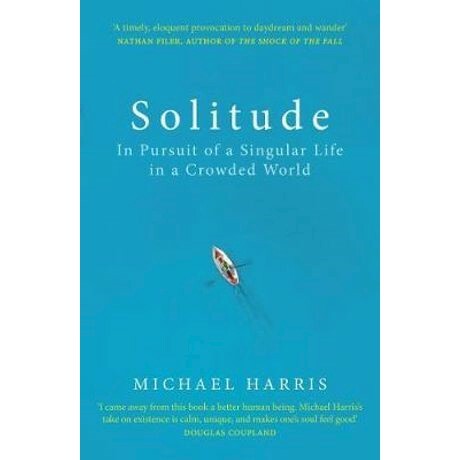 In this timely and important book, award-winning writer Michael Harris reveals why our hyper-connected society makes time alone more crucial than ever. He delves into the latest neuroscience to examine the way innovations like Google Maps and Facebook are eroding our ability to be by ourselves. He tells the stories of the remarkable people - from pioneering computer scientists to great nineteenth-century novelists - who managed to find solitude in the most unexpected of places. And he explores how solitude can bring clarity and creativity to each of our inner lives. Urgent, eloquent and beautifully argued, Solitude might just change the way you think about being alone.